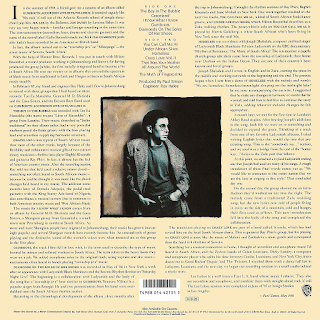 The album that brought Paul Simon back to global super-stardom. 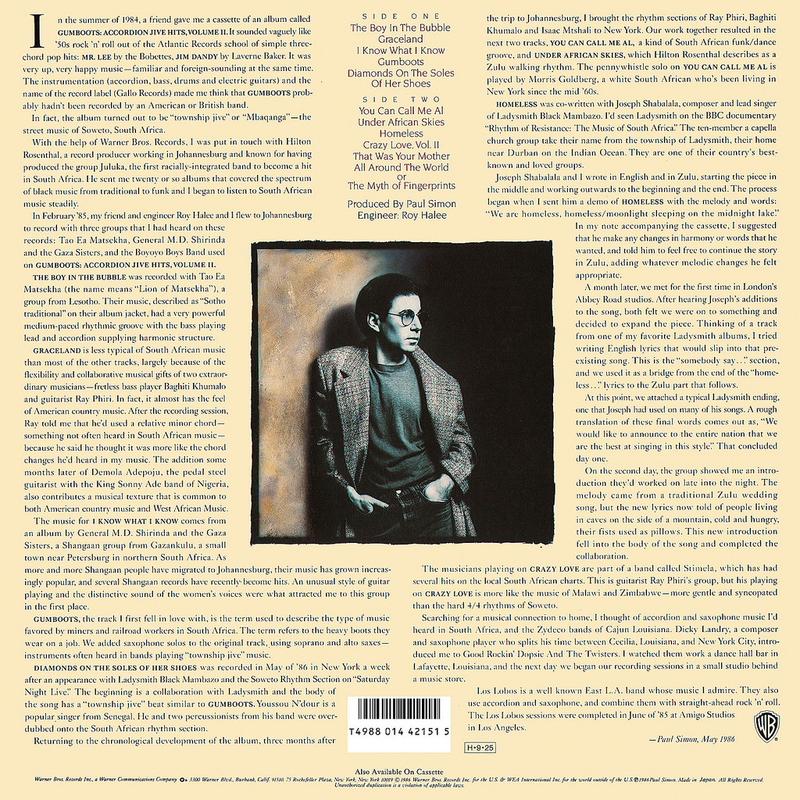 Recorded with a host of South African musicians and vocal group Ladysmith Black Mambazo, Simon married his unique lyrical mastery with the lilting, similarly unique, guitar sound of South Africa’s townships. Simon succeeded in introducing what is a marvellous musical style to a greater world audience. Township jive is uplifting, melodic, impossibly catchy and generally inspirational. Considering the often tragic, discriminatory background from which it sprung, its general joie de vivre is utterly remarkable. Highlights are the quintessential township numbers - “I Know What I Know”, "Gumboots", “Diamonds On The Soles Of Her Shoes” and the beautiful “Under African Skies” with its super lyrical characterisation - “Joseph’s face was black as night, the pale yellow moon shone in his eyes”. He also dabbled in Cajun Zydeco in “That Was Your Mother” and Tex-Mex in “All Around The World”. After the release of this album, the previously-ignored genre of “world music” became “trendy”. Then there are the big tunes - the title track where Simon sings about Elvis Presley’s house against a wonderful township guitar riff, “You Can Call Me Al”, which includes bassist Ray Phiri’s famous “backwards” bass solo part and “The Boy In The Bubble” with its atmospheric opening lines - “It was a slow day and the sun was beating on the soldiers by the side of the road”. Simon’s lyrics always say so much in so few lines. All the songs on his album do this. I could go on quoting all day. 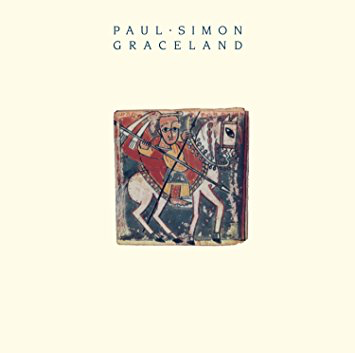 There was/has been/is a lot of controversy about this album - some seeing Simon as indirectly supporting Apartheid by not boycotting everything to do with South Africa at the time. Or that it took a rich white man to bring the music of the townships to the world. So what? Someone had to, and the world is a better place for it. Simon united musicians and cultures for the sake of music. He should be praised for it. Make no mistake, this was a seminal album.